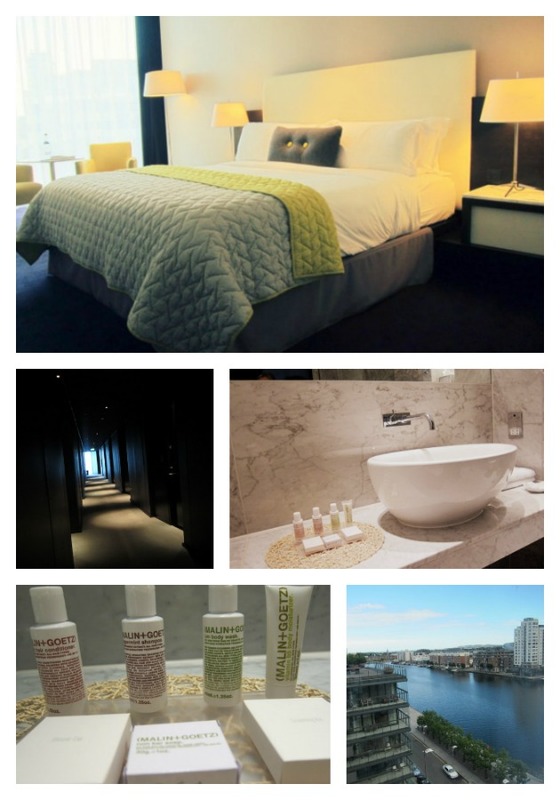 The Marker Hotel, Dublin: Hotel Tour, Review, Photos! Today I’m going to take you on a little tour of Dublin’s newest 5-star hotel, The Marker. You may have heard of it – from chef Gareth Mullin and his cronuts, to the jawdropping panoramic views from its rooftop bar, the city has been buzzing about this place for weeks. I’m particularly fond of it – and not just because I like a bit of luxury. The opening of a new premium hotel is a bright spot in an otherwise gloomy economic time. Located in Dublin’s International Financial Services Centre, which has taken a battering in recent years, the Marker is a bright, shiny beacon of hope. With cocktails. Plus, it’s right around the corner from my office, so I’ve more or less moved in: I’ve had lunch in the brasserie, business meetings in the lobby, enjoyed a superior massage in the spa and sank a cocktail or two on the roof. Bedrooms at The Marker (from €189): sensational views, all mod-cons (including a properly decent hairdryer!) and divine cosmetics from Malin+Goetz. Take a tour of the Schwartz Suite in my video below. It helps that it’s gorgeous: the interior is glossy and modern and slick, the design inspired by Ireland’s dramatic natural landscape. You see this most in the ceiling of the lower floor, which resembles the rocky formations of the Giant’s Causeway and Cliffs of Moher. Elsewhere, there are inky black corridors and dark marble bathrooms, exotic blooms on every surface, fresh lemonade on warm days and sensational views over Grand Canal Square. The spa at The Marker - that bottom shot of the pool area was snapped on my phone and does it no justice at all! 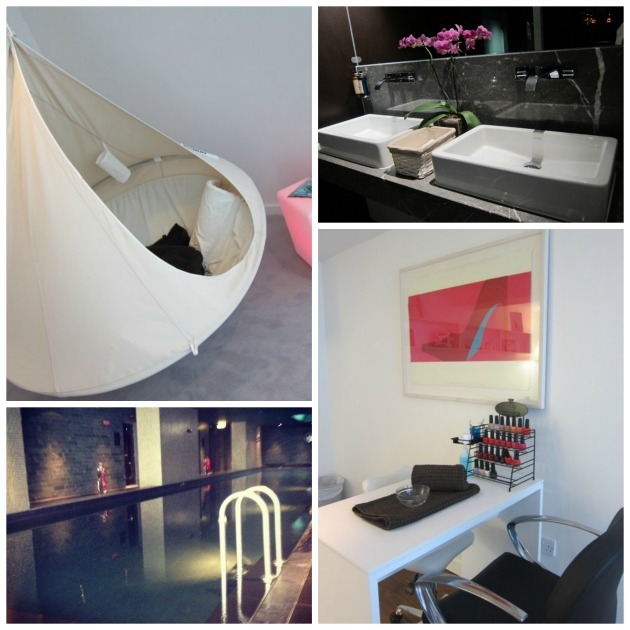 The spa is a little corner of calm and relaxation, complete with hanging cocoons in the relaxation rooms. My massage ranks in my top three of all time, but it's not all luxury and pampering - they also cater for nearby office workers who want to pop in for a brow shape or a quick mani on their lunchbreak. As for the pool, it actually took my breath away – it really is that gorgeous. Tiled in darkest green marble, with the water softly reflecting on the ceiling, a swim here is like being cocooned in a nymph’s grotto. I’ve been yearning for it since I left and I’d wager you will, too. Check out www.themarkerhoteldublin.com for more. Oh, enjoy Laura! Hope you get a lovely evening - the views are stunning! Love the look of the rooftop bar! I have to get to that rooftop bar!! Heaven is a glass of wine on that rooftop bar in the evening! Dying to try out the spa! You don't know heaven till you've visited the spa and had a swim in that pool Emily...do it! I am keeping my eye on this one for a while now. Because I live across the river too. Can you just go let's say for Friday evening/night drinks on the rooftop terrace without staying in the hotel or booking? This looks amazing, grew to see more places like this opening up in Dublin. Wow Emma this looks so nice. I wanted to go for the cronuts alone, but it really is stunning. Soon. Soooooon. I love this - looks like a great place! The hotel looks amazing! Would consider staying there! It's really pretty! I'll have whatever you're drinking Emma! hAHAHA I love that bed! This looks so, so nice. Not only do want to try cronuts, but I think I need that weird conical, tee-pee bed/comfy looking thing. Amazing! =OOOO! How lucky are you!? Beautiful and thank you for bringing us along for the ride!! ahhh! oh so chic and sleek! Man.. I wouldn't mind staying there for a week or 2! Ah I really wanna go now, the girls in work were raving about the terrace bar and of course I need a Cronut in my life! 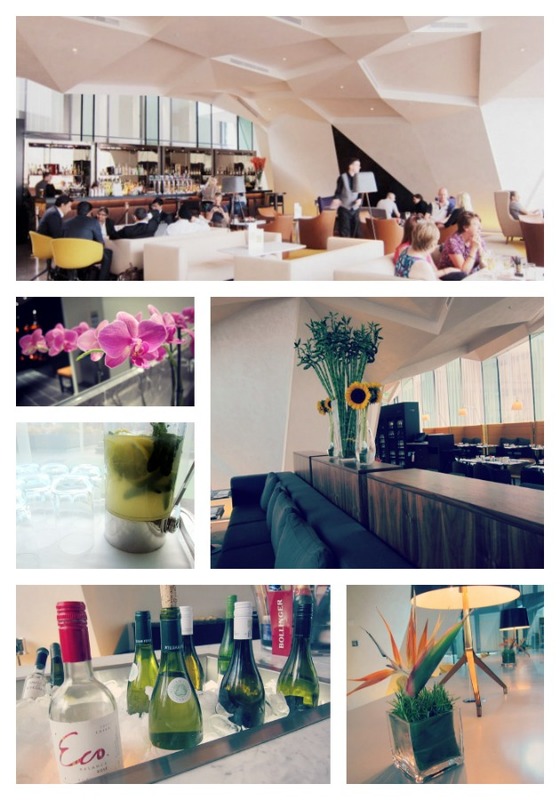 Beautiful venue and looks like such a trendy place to stay! It looks fabulous, add in the cronuts and I know where I'll be staying next time I'm in the big smoke. OMG this place looks fab!! Have you actually stayed here Emma?? I would love to hear how you get on if/when you stay - I am planning a trip to Dublin for a big birthday and this could be the place!! !